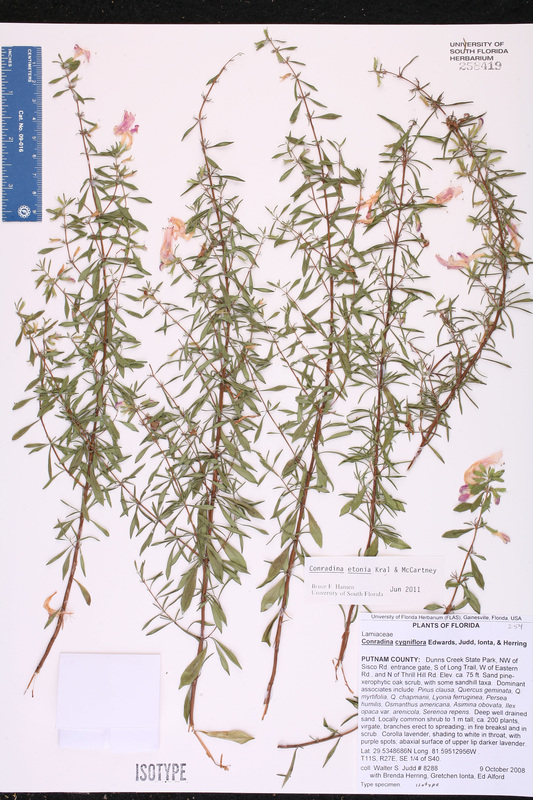 Species: Conradina cygniflora C.E.Edwards et al. Plant Notes: Conradina cygniflora is recognized by its calyx 8.5-11 mm long with the longest calyx lobe 3.6-4.4 mm long (Edwards et al. 2009). Differences concerning leaf abaxial trichomes were also given. It is otherwise very similar to C. etonia, which is separated by about 30 km and the St. Johns River. 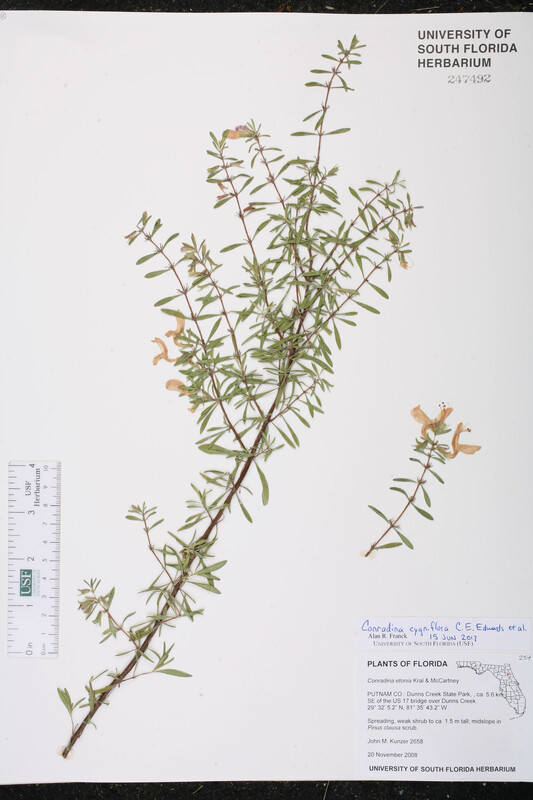 Citation CONRADINA CYGNIFLORA C. E. Edwards et al., Syst. Bot. 34: 753, f. 5. 2009. 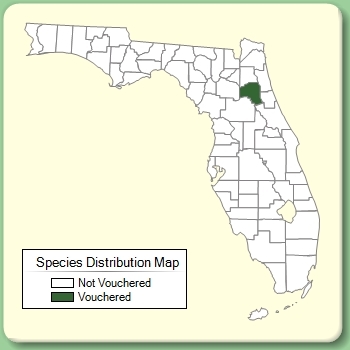 Type: FLORIDA: Putnam Co.: Dunns Creek State Park, NW of Sisco Road entrance gate, S of Long Trail, W of Eastern Road, N of Thrill Hill Road, T11S, R27E, Sec. 40, 10 Oct 2008, Judd et al. 8288 (holotype: FLAS; isotypes: NY, US, USF).